As the year gradually wraps up, and we prepare for the colder season, we can see all the excitement start to build up over Christmas and spending time with family (especially on Facebook). And we understand that you may not have the biggest budget to spend on presents for loved ones or even the time to go shopping for your those close to you. 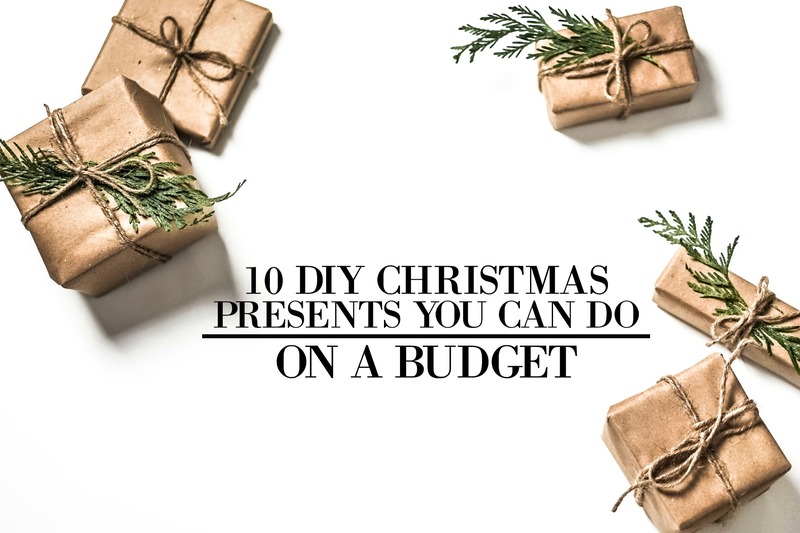 And that’s why we decided to create a list of ten cheap Christmas presents that you can totally do yourself… and your family and friends will actually like them! So check them out and let me know what you think! So you may have time on your hands but you need ideas; well, here’s one. If you fall into the category of people who are handy with a needle and thread, you can stitch up a nice blanket or a motif or a really nice item your loved one can hold dear to their hearts. There are plenty of awesome ideas on Pinterest to make this easy for you! Things like mittens or cozy socks are a great idea! A tea tree? Yes please! With a glue gun, some teabags and a Styrofoam cone, you may just be making the best gift for a tea lover in your life ever had. You can get creative with the flavors as well! Just be sure to check in to see what their favorite teas are. Home baked cookies with printable tags. Homemade cookies with their own wrapping or packaging are a great. With a few easy steps, these could make someone’s holiday (I mean who doesn’t love cookies?)! For non-bakers, you can find tons of recipes online that will make you feel like a pro in no time. Tis the season for hot chocolate! So fill up a nice mason jar, layer by layer with the ingredients you need, and you have ready to make cocoa! This great idea won’t take very much time at all!. All you have to do is iron on fabric that’s been cut into a Christmas pattern or holiday saying, wrap it up, and you’re good to go! It is a season of love and of course a season for candles. With some beautiful upholstery webbings, you can instantly turn plain candleholders into a thing of beauty. If you have a cute tea cup that you never use, then melt wax into it with a wick and you can gift a friend or family member a super pretty candle for their desk or shelf. With these simple gift ideas, you definitely don’t have to break the bank to make someone’s Christmas fantastic. It’s all based on your creativity, a few supplies, and your loved one’s interests. Now if you have any questions about these gifts, just let me know in the comments down below. I’d be glad to help out!